I dated a man in college who could not bear to leave food on a plate, his or anyone else’s. He would dispatch his food with good speed, then pick at the borders of my meal while I ate. Before my fork hit the table he’d drag my leftovers to his side and tuck in. To my shock, the first time we went out with friends he did the same thing to everyone else. What does this behavior say about him? Compulsive eater, yes, obviously. But also, pretty aggressive, right? And confrontational—if he doesn’t expect you to hold onto your own food, he’ll assume your opinions are easily slapped from your grasp as well. Selfish. Probably doesn’t respect boundaries. If on our first date I’d focused less on how everything I ate was going to affect my breath, and more on the way this guy behaved when he ate, I could have saved us both so much time, so much heartache. I’ve got a long list of such eating-makes-the-man examples. My father refuses to taste food—any food prepared anywhere by anyone—before he coats it with salt and pepper, my mother has never left a dinner table without a new food stain, when in public I am incapable of delivering lettuce to my mouth without painting a cheek with salad dressing. Respectively: control issues, perpetual distraction, social anxiety. I could go on but I should save these details about me, my family, and people I have known for my fiction. Because readers can learn an awful lot about a character by watching her eat. Yet. How many stories can you think of—quick, right now!—reveal personality by showing how a character eats? We learn a great deal about both characters from these lines but my main takeaway is that the woman values sophistication, restraint, and neatness, and she feels anger toward this man, even contempt. 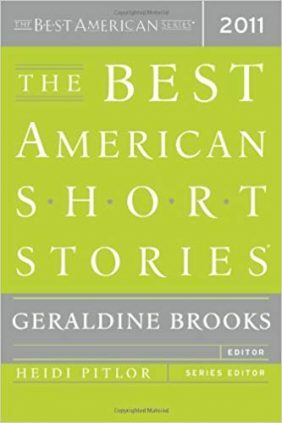 Because the narrator speaks for the woman, we see the man’s behavior only through her biased reporting—is he a fast eater or is she an extraordinarily slow one?—but probably we can trust that he has eaten his entire meal and a lot of the breadsticks, likely his teeth are spackled with lunch and his beard is a little crumby. So we know that he is not particularly concerned about being tidy and he’s not the most mindful of eaters. Is he unaware of her anger? We don’t know yet. What does he feel about her? We’ll have to wait for that, too. But already—we have not yet finished the second paragraph—we have tension and conflict and a fair amount of personality, mostly showcased by the way in which these two people eat. For some time now my favorite scenes in television and film have been eating scenes. I think I first became interested in these scenes when I noticed the myriad ways that two actresses who play sisters in my favorite television series—I own and regularly watch the DVDs—contrive to limit their consumption to about a teaspoon of food whenever they have to eat on camera. When the women chat over two gigantic muffins, they both keep swirling an index finger around the top of the muffin, then licking the fingertip. Once she withdraws the finger from her mouth, each woman muffles her words a touch, as though the crumb she just deposited has morphed into a genuine mouthful and she is actually eating. In another scene, the sisters are enjoying deli sandwiches on a couch. One dangles a slice of pastrami over her mouth, then a pickle—but when she moves the food away to speak, it’s whole. I never would have deconstructed the sleights of hand these women use without the benefit of repeat viewing. But once I noticed their tricks I was disappointed. So much of the energy of their performance was aimed at convincing the viewer they were eating. Actors, do you know how to ensure the viewer believes you’re eating? You eat. They could have devoted the energy spent on feigned eating to how the characters eat, adding layers and details to our understanding of these women, raising a good performance to sublime. Since noticing the feigned eating, I’ve paid close attention to how other actors eat. This is what I’ve noticed: actors who commit to actual eating—and it is a significant commitment, because who knows how many times he has to bite off half that candy bar or she has to cram those french fries—say far more about their characters than one can convey by licking a finger or kissing a pickle. When Andre Brauer cradles his hamburger with loving hands in Men of a Certain Age and takes a huge mouthful—stopping the flow of talk only for a fraction of a second, then talking around the food—he’s just used one bite and one line to deliver a multi-layered performance. This is what I see: He is very comfortable with his two friends or he wouldn’t eat with his mouth full. He is so impatient for the joy of eating that he can’t stop, put the hamburger down, argue a point. And trust me, I know, he holds that sandwich like a man who loves to eat—supporting the bun from end to end, promising an equal share of each element with every bite. This man is very attached to his hamburger. You might say that hamburger is the fourth friend at the table. Feigned eating versus eating. Good versus sublime. In a good version of Bissell’s scene, we would be told that the man’s plate was clean, that he was still eating breadsticks, that he had a few crumbs in his beard. We would know that the woman was working her slow way through a plate of risotto, that she sips her drink. But Bissell doesn’t settle for good. The man, reports our narrator, has vacuumed his meal, the woman has taken birdfeeder sips. We know she has kept track of how many bites she has eaten in the time it took him to finish his meal. When he smiles she considers it a return of serve and it’s ruined anyway by the clotted teeth. This kind of detail—this level of commitment to the scene—is what I loved first about this story, and, in the end, also what I love best. You’ll have to finish that second paragraph to begin to understand what’s at stake for these characters. On page two the stakes go even higher—keep reading to discover exactly what those lunch table observations are hinting at, to learn the source of all that tension. You’ll be carried far from the petty concerns of what to order and when to wipe your mouth, and you won’t be disappointed by the journey or its finale. But for now, before moving away from these words, savor those sentences I quoted just one more time. Land on each word, spend a little time with each line. You know, the way you might tear apart a buttered muffin and watch the steam rise from the moist crumb before you allow yourself that first, lingering taste. Or how you let the mustard dot your lips, forgotten napkin by your elbow, while you sink your teeth into a mouthful of pastrami.